Certified Arborist Kitchener, Waterloo, Breslau - K-W Tree Expert Co.
K-W Tree Expert Co. is at your service for ground maintenance and complete tree care. Call us! 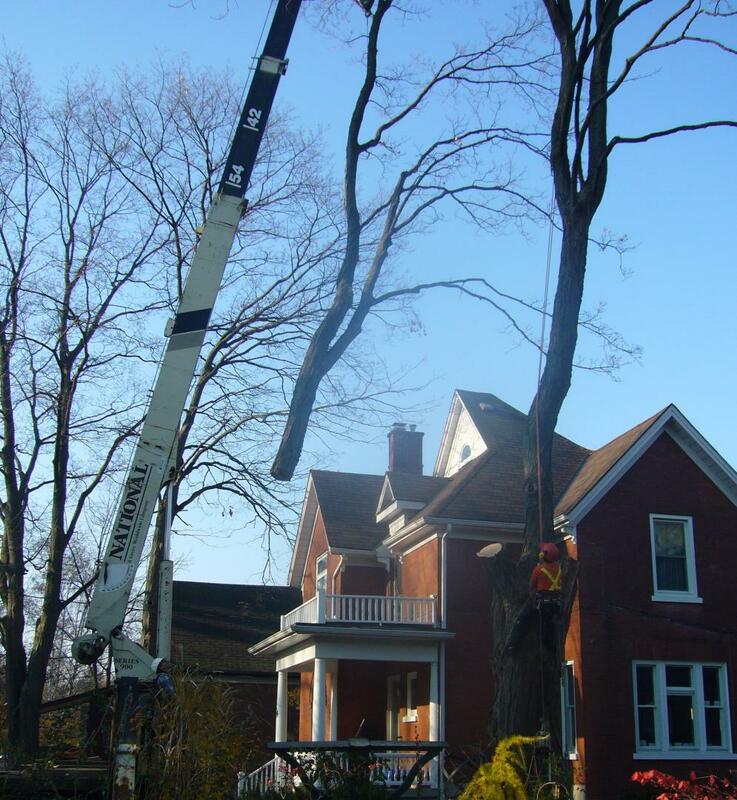 We are a team of professional arborists based in Kitchener. About K-W Tree Expert Co.
Be it for your residence, business or golf course, we can safely remove and install trees and maintain the turf. 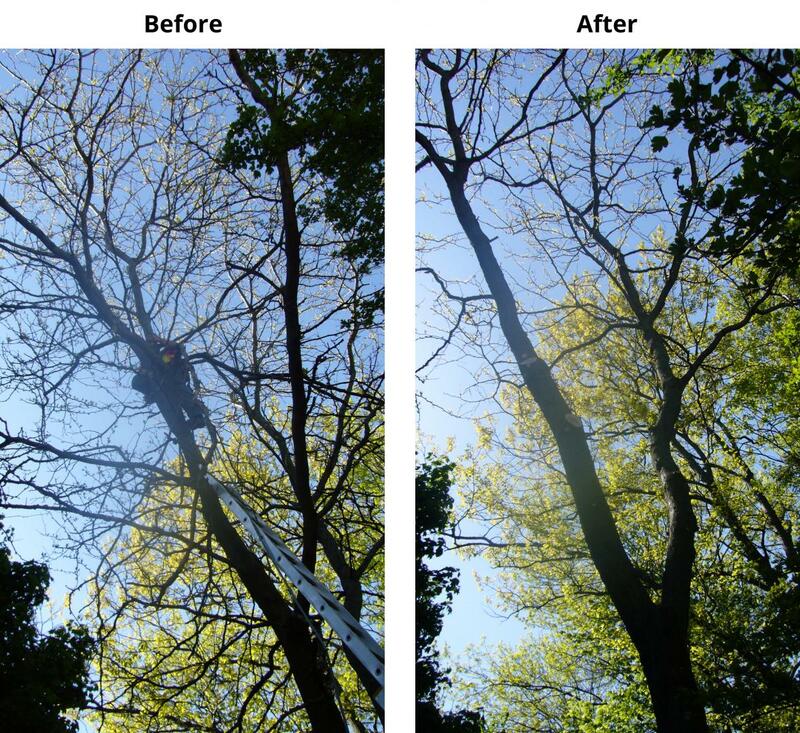 Give us a call for the perfect tree treatment! 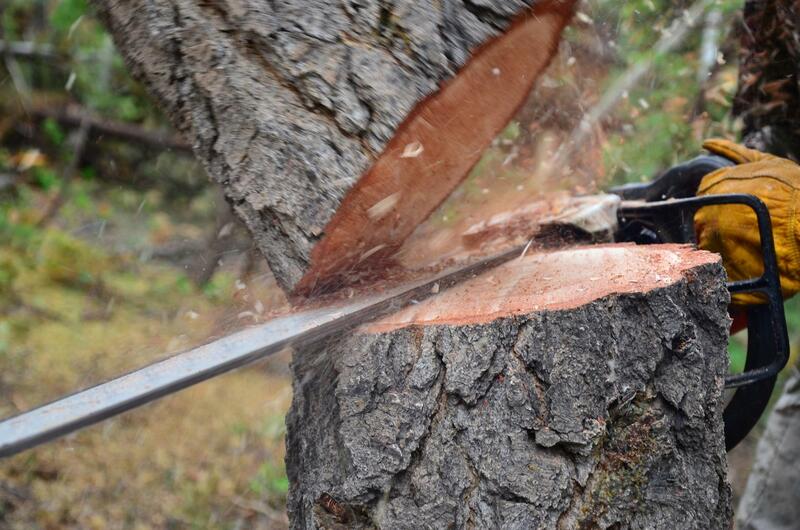 Pruning is an important feature in your tree management program. By not pruning out dead branches and stubs, wood decay and fungi will spread to healthy wood in the trunk and larger limbs, causing them to become weak, hollow, and dangerous. It also allows more wind to pass through the canopy, reducing wind resistance and preventing failure of limb and trunk. Branches that rub or cross should also be removed. They make the tree too thick, increasing humidity in the middle of the tree, making an excellent breeding ground for insects. 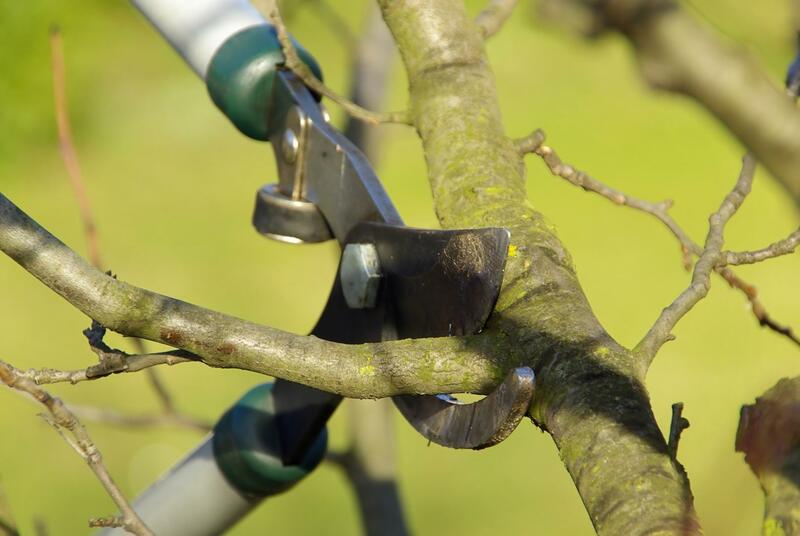 Pruning can be done year round, except on fruit trees which must be done before flowering. If improperly planted, the life expectancy of the tree will greatly diminish. 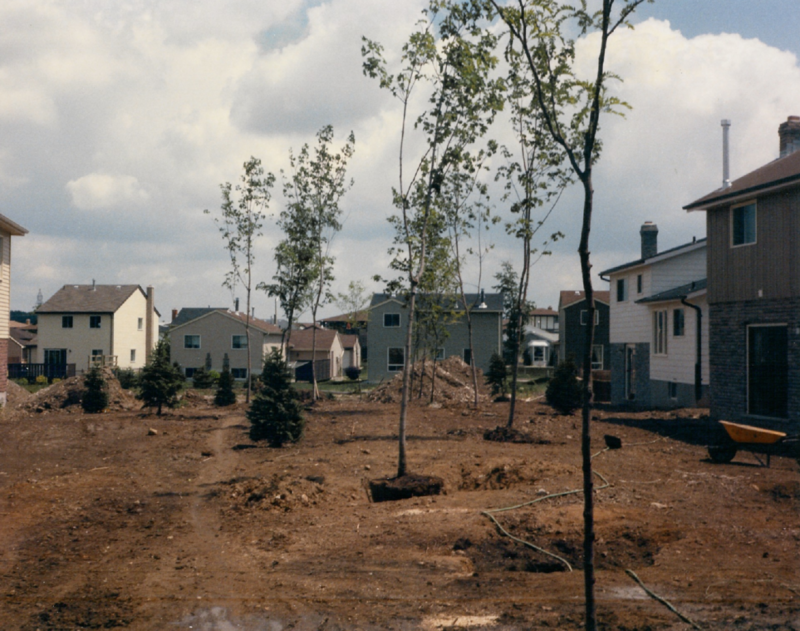 We offer proper planting of small to mid-size trees, coming with a one-year guarantee. In their natural habitat, trees and shrubs receive humus and food elements from leaves that fall and decompose on the ground. In the city, lawns are raked and homes, sidewalks, and driveways are built, robbing the plants of this natural cycle. Fertilizer is injected right into the root zone of the trees and shrubs, giving greater resistance to disease and pest attacks, improves tolerance to drought, increases the growth of the plant, and promotes healthier and more dense foliage. Some trees are imperfect and have poor branch unions, cracks, frost cracks, co-dominant leaders, and too long of limbs that require support. The tree limbs are pulled together, steel rods inserted (if needed), and cables are attached strategically to ensure the limbs move as one. 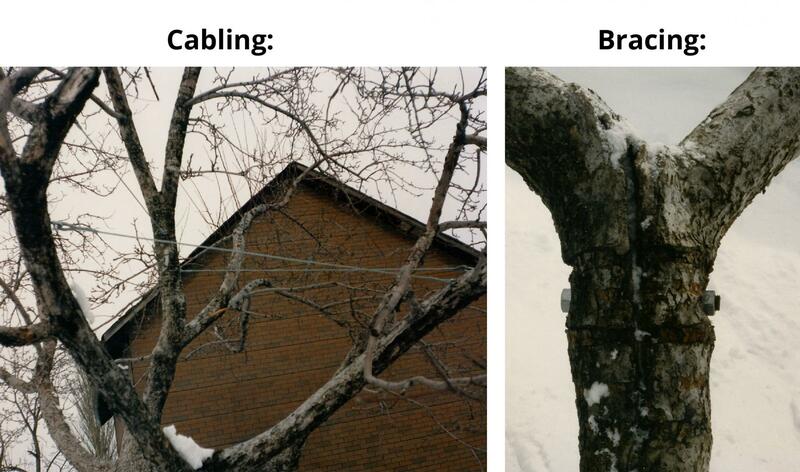 When done properly, cabling and bracing a tree can prolong the life of your tree. We remove any size of tree and stump. At K-W Tree, we specialize in use of cranes and advanced rigging techniques. Stumps and surface roots are ground out 12-24 inches below ground level. No harm is done to surrounding trees, gardens, fences, houses, etc. Safety trim, removal of small- to large-scale woodlots, and lot clearings are offered. Lightning can destroy a tree, but by providing an alternate path for the electric discharge to pass, damage can be mitigated. A series of inconspicuous copper cables are run down the trunk from the highest points in the tree to the ground, safely grounding the tree. Insects and diseases destroy leaf tissue which spoils the attractiveness of the plant. More importantly, the leaves make food, using sap from the roots and sunlight, for the living plant cells. 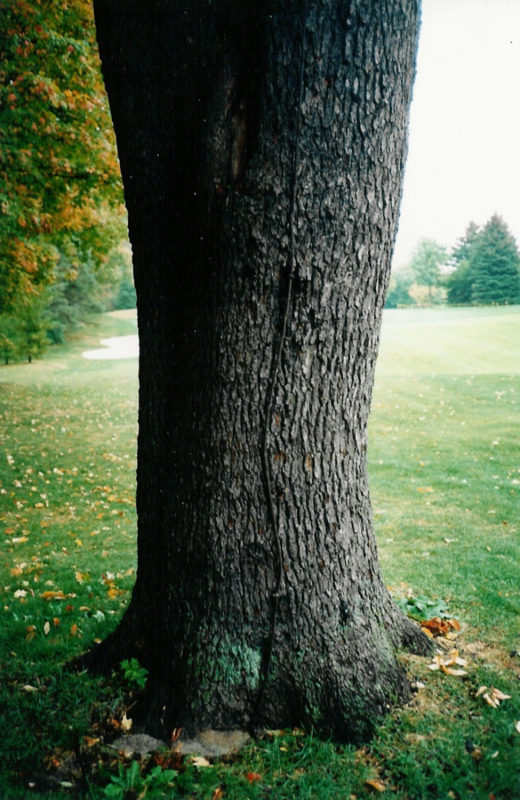 Systemic trunk injection is a 12 week slow release insecticide drilled into the tree trunk. This insecticide is carried by sap movement through the tree's cambium layer to the leaf tissue. We are able to offer almost all services year round. 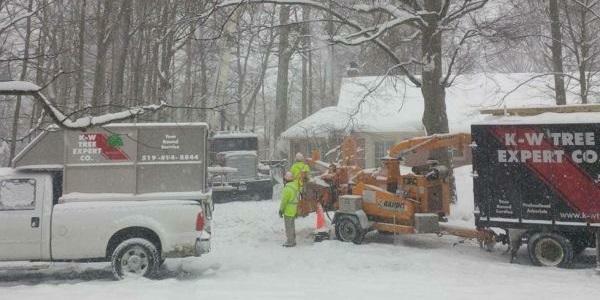 Our employees and your property are all fully insured while we work.